Danger Mouse - What do you think of the remake? Danger Mouse was a popular cartoon produced by the BBC in the 80s and early 90s. 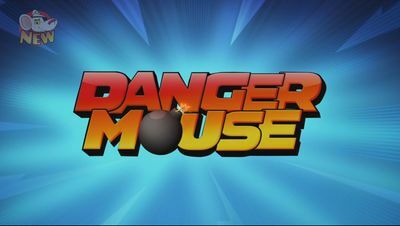 In 2015 a new series was made, starring new voice actors (including Alexander Armstrong of Armstrong and Miller as Danger Mouse). It's been updated and contains a new female character, Squawkencluck, a scientist voiced by Shauna Macdonald. Have you seen the new series? If so, what do you think of it? Another one I have not heard of -assume it is free to air TV? I actually like cartoons and sometimes still watch them but not Danger Mouse. I was a big fan of this show as a child and now I watch the new episodes with my own kids. It's been a great nostalgia trip and the show is as funny as I remember it being, only without the problematic racist bits I was unaware of as a child (Danger Mouse goes to Hong Kong and it's all silly accents and buck teeth). Danger Mouse is one of the few classic cartoons I am not interested in, but I do appreciate its value. When I saw a snippet of the new version, I did not like the animation or new voices. Changes in animation style and voice cast are the main things that put me off any animated remake. Do you have the tv on while you cook? Fortitude - Are you watching? Who would you cast in a gender swapped version of Supernatural? The Cloverfield Paradox- Have You Seen It? What are you reading in August 2016? If your partner is a different religion from you how do you raise your children?